Several months back, my dad went out and bought another old boat; after years of not having one and living within near walking distance of a lake now. He's been working on fixing it up and hopes to have it in full working order for the beginning of July for my mom's birthday. That got me to thinking about my old long lost friend 'club the sub sandwich'. Things have changed over the years though. I'm a mom now myself and I can't afford to just go around willy nilly eating sub sandwiches. I've got to be a lot more mindful of my beach bod as it doesn't come to me as easily as it used to. So? What's a girl to do? For this Club Sub in a Tub we're getting it naked and stripped down to the bones. No bread. All the traditional fillings of a club sub though! We're talking lettuce, cheese, pickles, condiments, and yes... of course the meat! This time around, I chose Buddig sliced turkey, chicken, and ham. 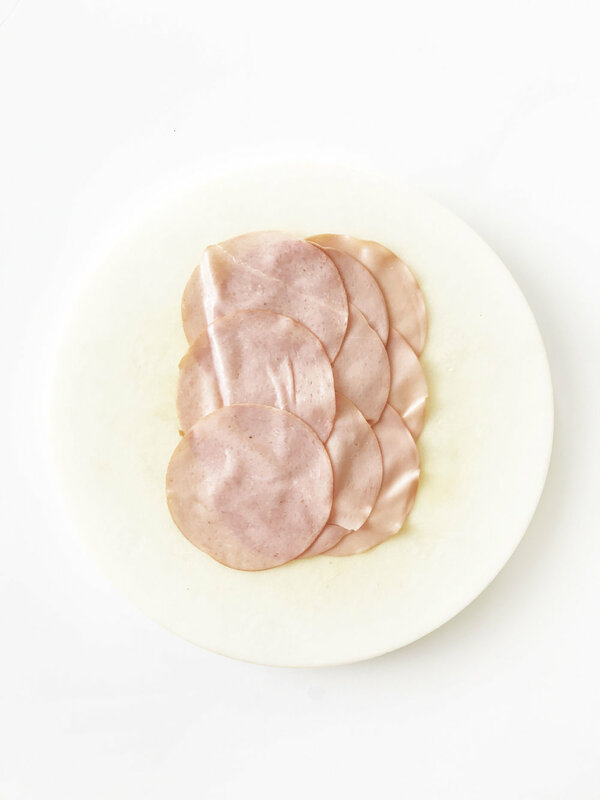 Buddig is known for their convenient and affordable meats, offering the best quality of thin-sliced lunchmeat to communities across America. The family-owned Carl Buddig and Company, based in Homewood, Illinois, is owned and operated by third generation Buddig Family members. The company would like to extend its gratitude to everyone who has made more than just a sandwich, by feeding bellies and bringing family closer together. In honor of the 75th Anniversary, Buddig is giving customers the opportunity to win up to $75,000 worth of prizes. Now you will have the ability to say thank you to the “Meal Makers” that have impacted your lives, with a one-minute, online video submission on the Buddig's website. Here's my own thank you! Content can be entered under the “Submit Your Story” tab, and each submission will be eligible to win up to $25,000. Winners will be selected by the authenticity of their story, context relevance, audience appeal, quality of their video and by the number of votes they receive. One lucky Grand Prize winner will be awarded $25,000 and will receive an additional product “Prize Pack” at $125 value. First Prize – Four candidates will receive $7,500. Second Prize – 20 candidates will receive $750. Additional Prizes – Throughout the 13-week promotion, five candidates will be selected to receive $75 each week. Just exactly what it sounds like! A club sandwich, in a tub, without the bread. It's low-carb, keto-friendly, and delicious!